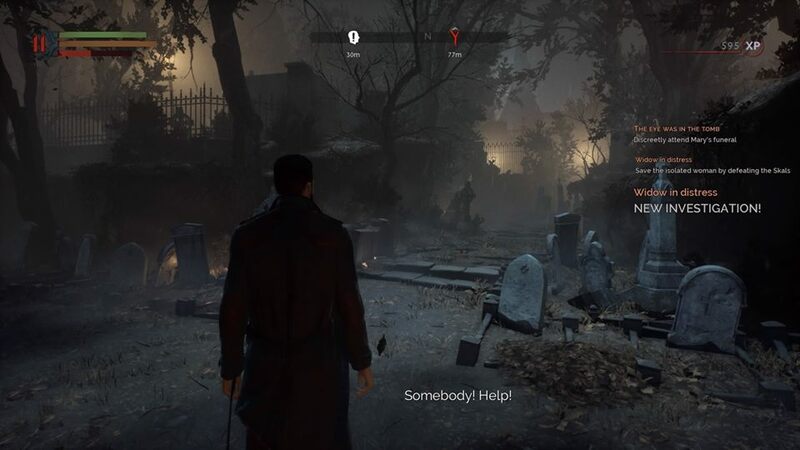 Vampyr really wants you to care about your victims. As the duplicitous and newly turned Dr Reid, you must balance a thirst for blood with an innate human desire to help people. Biting necks gains experience but has serious consequences, while healing London's inhabitants of their ailments provides valuable information though the lack of blood leaves you weaker. That is, until you cure their ailments and bite them anyway for increased experience. Where so many games work in binaries, Vampyr hides in shadowy greys and forces you to question every decision through its interlinking systems. Unfortunately, it never equates to more than the sum of its parts and an overall lack of polish leaves the curious central conceit flailing amongst banality, though it remains compelling enough to keep you coming back. 1918 London is battling a Spanish flu epidemic. The streets are ripe with illness, the sick are everywhere, doctors and nurses are heroes. Except the flu is just covering a vampiric outbreak that our hapless protagonists finds himself caught in. As a vampire he's only allowed out after hours, meaning the streets of gothic London are in perpetual night. Exploring the semi-open world soon becomes repetitive and tedious, the city an infested sickly maze of mostly nothingness. When there are vampires on the loose, why would anyone be outside anyway? Dr Reid is on a quest to find the vampire that turned him. As an overall plot it's a little too loose as it lurches from scene to scene, but it's the micro-narratives that hold interest. 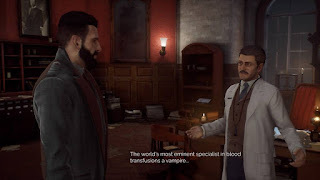 Each of the game's main acts centre on a societal pillar of that section of the city, so Reid must investigate his prey Assassins Creed style by speaking to the citizens and conducting some supernatural detective work. Nuggets of information soon build into a web that's laid out on the amusingly named "Citizen Menu" a little like the nemesis system from the Shadow of Mordor games. 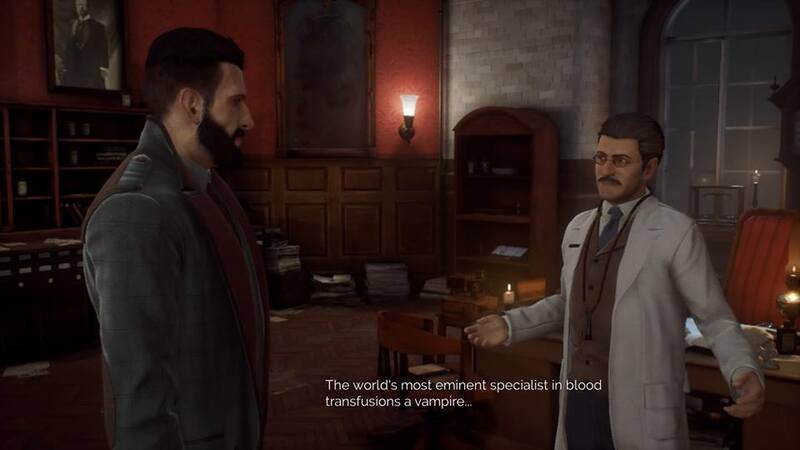 If citizens die, either by yourself or others, you lose out on side-quests and valuable clues so it's in your interest to keep them safe and healthy, or risk the district being overrun by vampires, werewolves, and their hunters. Kill the central pillar and the whole districts falls to death. But you need blood. You are, after all, a vampire. Killing citizens gains experience points you can use to level up your vampiric skills and become more powerful. 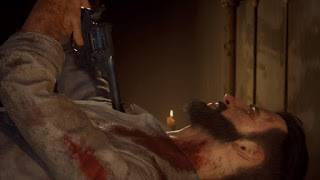 This is done by sleeping in a safehouse, but upon waking the next evening you could find some citizens newly dead or fallen ill. Maybe you missed your chance to save them...or drink their blood. Your skills come into play during combat, which ambitiously attempts to match the elegance of Bloodborne. A stamina metre restricts you from wailing in too hard, while a blood metre is used for special attacks and must be refilled by biting victims mid-battle. It all feels a little clunky and the enemy design is unoriginal, though a dynamic difficulty stops things getting too tough. A crafting system also allows for upgradeable weapons using the detritus you collect on your travels. Developer Dontnod Entertainment are best known for their work on Life Is Strange, so its easy to see why narrative choices are such a core component of Vampyr. But decision making isn't always handled well. It's not always clear what impact your choices will have which makes for narrative dissonances and frustrations, any sense of plot eventually dissolving into a confusing, bloody mess. A lack of polish also lets the side down. Visuals are muddy and washed out, lip-synching is laughably muppet-like, dialogue inconceivable, load times infuriatingly long. It immediately takes you out of the narrative and reminds you this is a bumbling stumble of a video game and not the intriguingly complex dark vampiric role-playing fantasy it's trying so hard to be.